To make this delicious and beautiful bread first you have to make dough with yeast, flour, salt, sugar and warm water. Rest the dough until it becomes double in size. When the dough has risen roll a rectangular sheet of it. 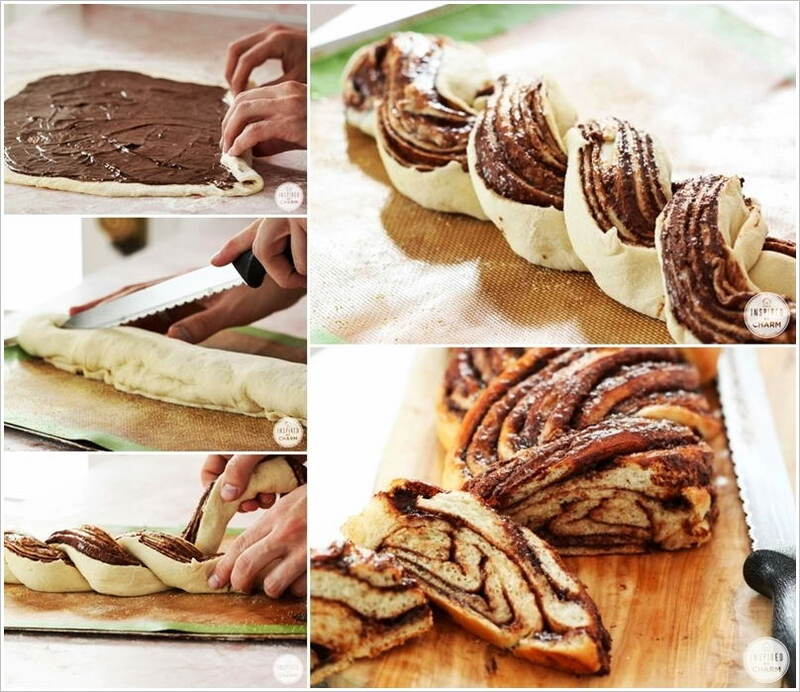 After that apply nutella on its surface with a spatula and make a roll of it. Then cut the roll length wise in half but make sure leaving it uncut from one end. Make a twisted braid of the two parts you will get after cutting. Leave it for 20 more minutes for proofing. After that brush a beaten egg over it and pop it into the oven until done. For more details hop over to inspired by charm. Enjoy baking!